Few months back, we had put a post on “The Other Way“, a film by Aniket Dasgupta and Swathy Sethumadhavan documenting the indie filmmaking scene in India, and they were trying to raise funds for it through crowd-funding. Good news is they have managed to raise the funds for it and have just released its first look. I have always felt that we have a terrible record when it comes to documenting our cinema and the stories surrounding them. 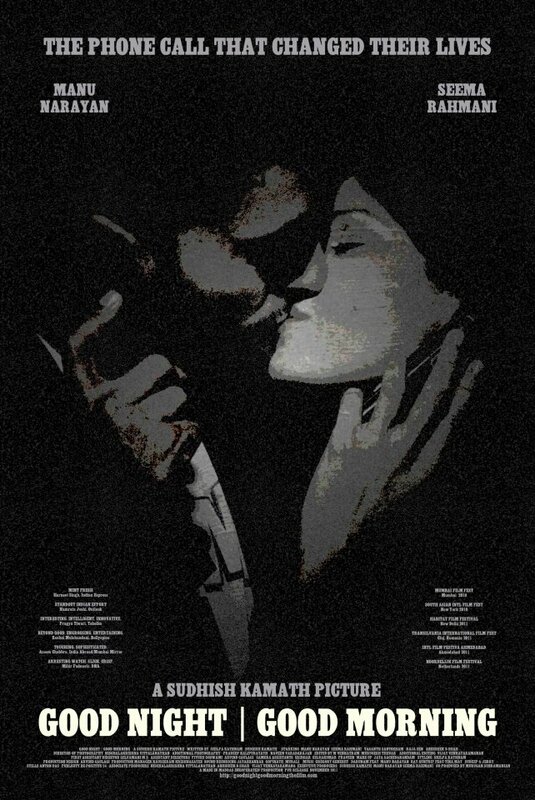 A film like this one, Dungarpur’s Celluloid Man, Jaideep Varma’s film on Sudhir Mishra – we need many more such docus. So check out the first look. To know more about the film, click here and to read about he making of the film, you can click here for their blog. With every independent film release, we hear the same questions again and again – why are the tickets priced so high? Why there are no shows in my city? Why there’s no show at my time of preference? It’s always the story from our side. So here’s Shiladitya Bora of PVR Director’s Rare telling us the story from the other side. And the bigger question – why haven’t we seen a breakout indie in a long time? Are we just making indies and not the good ones? (Maybe we need to learn it from the French on how to do this. More here). Over to him. I am a film programmer. I earn my livelihood by handpicking independent films for theatrical release. 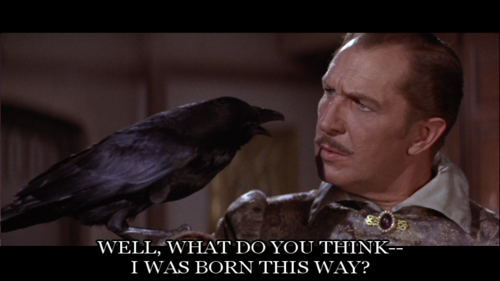 As a part of my job, I receive, on an average, 3-4 independent feature film submissions/requests every week. Out of these 12-16 films we receive every month, about 90-95% films are very bad and do not even deserve a release on DVD-release, forget theatrical release. With the advent of digital technology, making an independent film has almost become child’s play. So this 90-95% films that I refer to, are mostly experiments by amateurs in the digital medium. They record footage that is more than 60 minutes in length and feel they have made a feature, and a theatrical release is their birth right. If every man with a video camera is Steven Spielberg, then I am surely Harvey Weinstein. But, then, I am not. The remaining 5% of indies that make the cut, they get a small theatrical window in the form of a limited release in selected cities. 4. It is backed with very strong recommendation. This may sound unfair but this is how the world functions. Otherwise, how do you think some of the disastrous films make it to the prestigious festivals? And then, there are some genuinely good indie films that are unlucky. What I consider my biggest failure was not being able to get a show for Kshay at a regular multiplex in Delhi during its theatrical run. If Good Night Good Morning was made with Ranbir Kapoor and Priyanka Chopra, it would have been a super-hit. This doesn’t mean that Seema Rahmani and Manu Narayan are any less talented but this is how things are. In addition to the above, there is one more type of indie films in our country. These are made by people who started their careers as members of the crew/technicians and finally graduated into directing. Such indies mostly have known cast, technically and quality wise also are superior to the first timers, and when it comes to release, they generally get more number of shows than the others. How many shows per day a multiplex should give to an independent film? If we go by the thumb rule of any business – that profit making should be the primary objective of the business – indies should NOT get a single show in multiplexes. A mainstream film will any day earn more than an indie programmed at the same slot. Then why do multiplexes take initiatives to showcase indie cinema even by incurring losses? The answer is corporate Social Responsibility. It’s a way of saying thanks to your ecosystem. It’s a goodwill gesture. Most of the independent filmmakers whom I have interacted with, they all loathe the mainstream, but one thing we all fail to realize is that indies can even think of getting a theatrical release only because multiplexes earn their revenues from the mainstream. Now, let’s have a look of the costs involved in running one show at a multiplex in Mumbai irrespective of whether one person is sitting inside or a houseful show. 6. Miscellaneous costs – this may include the huge volume of complimentary tickets that needs to be given to law enforcing agencies every month for running a multiplex. In addition to the above we should also note the 31.03% applicable tax (Mumbai) on Gross Box Office (45% of Net Box Office receipts). As per the data available, the occupancy percentage for the best performing/well-known indie films is not more than 25%, making screening of indies a direct loss making proposition for multiplexes. The setting up of a multiplex is a highly CAPEX driven business and tax rebate/holiday is given as in the case of other infrastructure based industries. The main idea is to attract investors/foster entrepreneurship and I am not very sure how much valid a reason it is to demand a dedicated auditorium showing indie cinema only. Initiatives to support the cottage film industry of the country should be voluntary decisions and demanding it from corporates who are already doing their bit, seems unfair. I am sure we do not want reservations in our highly talent-driven film industry. The next big question : Is there a scope of dedicated theatres screening independent films only? To be honest, I do not have an answer to the same right now. The answer lies in finding the latent demand for indies. Instead of emotionally supporting anything that sounds like a rebel, sometimes without a cause, we need figures to arrive at an answer. How many DVDs of independent films actually sell? How many legal and torrent downloads? How many actual tickets sell when these films get a limited theatrical release? What needs to be our primary focus is how to make good/great indies. This is where we are lacking the most. Films that breakout through important international festivals, win awards and accolades which will automatically lead to buyers in other countries too. Crack that code and we will survive here too. Still in doubt? Scroll up and read the French link again. Shiladitya Bora manages Director’s Rare, a PVR initiative to promote Independent Cinema. 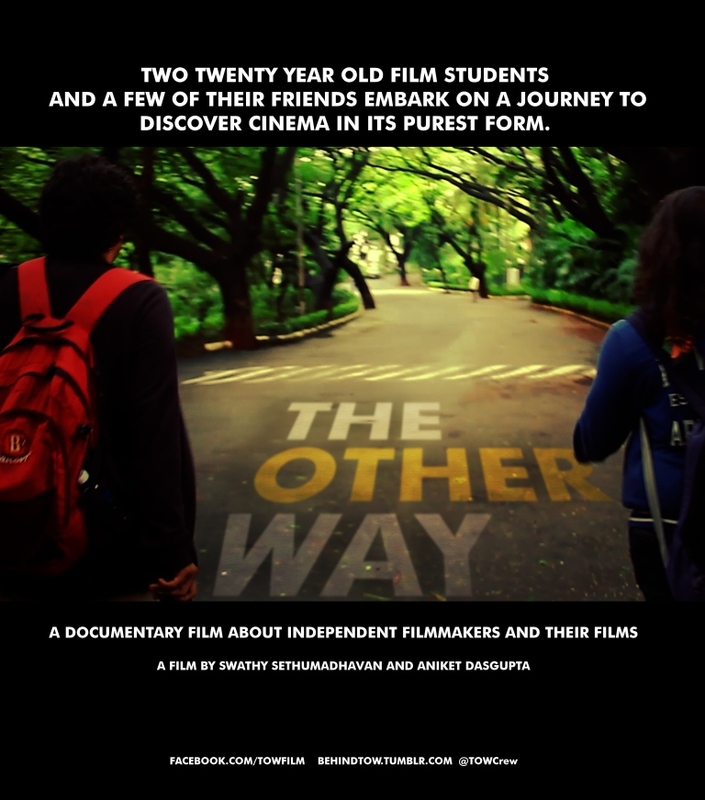 The Other Way – Its a film by Aniket Dasgupta and Swathy Sethumadhavan who are documenting the indie filmmaking scene in India. The feature length documentary aims to understand the various facets of an independent filmmaker and attempts to capture the passion that drives these new wave filmmakers to work out of the mainstream film industry. And in a country where we don’t have much culture of documenting our cinematic history, this seems to be going in the right direction. More so because in the last 4-5 years the way we are making films, it has changed drastically. Filmmaking has moved beyond the domain of counted few and “indie” is being redefined with new filmmakers rewriting the rules. Aniket and Swathy have already interviewed some of the indie voices and filmmakers like Srinivas Sunderrajan, Onir, Vasan Bala, Sandeep Mohan, Qaushiq Mukherjee (Q), Sudhish Kamat, Shiladitya Bora among others. More interviews are also on schedule and will be shot in the coming months. The documentary is mostly self-financed but since the makers of the film are students (of Symbiosis Institute of Media and Communication), they are also trying to raise a part of the budget through Wishberry’s crowd funding platform. Contributors get certain perks in return depending on the amount they contribute. They have already raised more than Rs.47,000 out of there goal of Rs.80,000 on Wishberry and have JUST 3 Days left to raise the rest. Your contribution will take them one step closer to reaching their goal. So what are you waiting for? Click here and help them make the film. Not convinced yet that you are not going to waste your money? They do have a teaser from what they have shot so far. Click on the play botton and have a look. Film Recco : Kshay because as the very poetic title suggests it Corrodes the being. In her twitter bio, Svetlana Naudiyal describes herself as Murphy’s favourite child. So over to the child who is just back from a country where there is almost no cinema culture and she was trying to make them understand what is the point of a film festival. Back to India and here’s her recco of the film Kshay, which has been doing the rounds of film festivals since quite sometime. There is no local popular cinema in the theaters. The only theaters are the ones in the malls. From malls to pirated dvd stores – all you’d prominently see is Hollywood. I’ve just returned from Cebu City, so to say, the second largest city in Philippines. The townesque city is burgeoning with Malls, Multiplexes, BPOs and all possible American Chains. The city glistens, roads are well done, cab drivers never say no and their peso is better placed against dollar than the rupee. In this seemingly ‘developing’ state of affairs, local cinema has no ground beneath its feet. I get to meet a few Cebuano Filmmakers and see their films. Great work and talented, no doubt! But what do they do? Cut to – my country, my crazy cinephile country. Here back home, I see Kshay on the big screen, and I am moved by the mere thought that here someone can not only make the film they want to but also hope that it would see the light of theatrical release someday. But is that why you should support it? Just because someone really struggled to make an Indie film and then eventually managed to get it to the box office? Kshay, as the very poetic title suggests, corrodes. 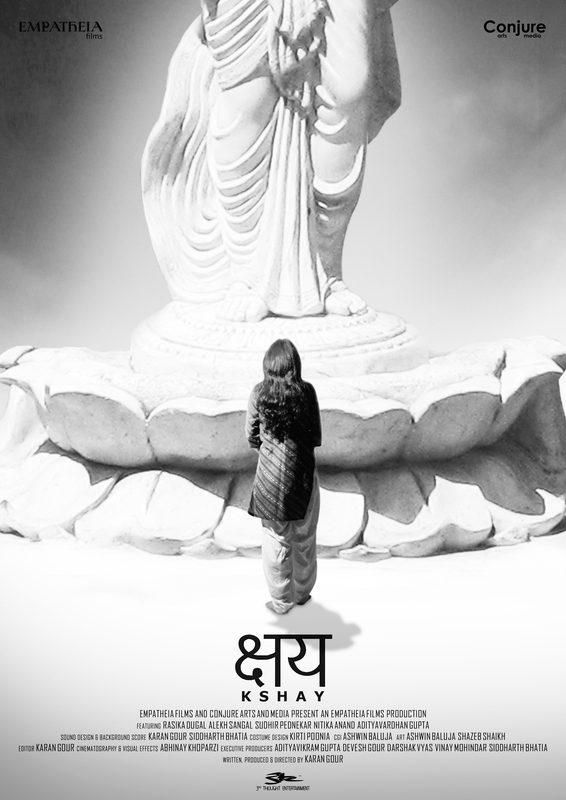 Chhaya, a simple housewife, becomes strangely obsessed with an unfinished idol of Goddess Lakshmi. Her husband, Arvind, works for a reckless building contractor and struggles to make ends meet while reeling under the guilt of not being able to give Chhaya the life he promised to. Their lives are thrown in a downwards spiral as Chhaya slowly becomes oblivious of their circumstance and succumbs to faith turned into obsession. It is not often that the frames and sequences of a film hover in your mind for long after you see it. They corrode the mind, resonate with life and create a surreal-real world of obsession, hopelessness and love. 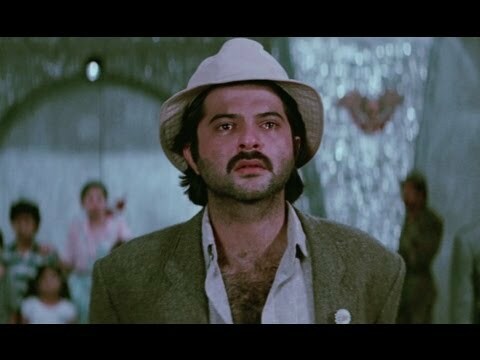 It’s beautiful how the textures, lights and score accentuate the psychological corrosion of Chhaya. Together with Arvind’s frustrations and the hopelessness a viewer sees in their situation, the film builds a strange tempo as it progresses; it might not be evident in the pace but most certainly so in the feeling it leaves one with. Shot in black and white, the cinematography by Abhinay Khoparzi, is highlight of the film. The eerie absurdity of dreams, delusions, reality and the textures, all stand out in black & white frames. The background score is by director Karan Gour himself is the perfect companion to it. Rasika is unbelievably real as Chhaya and beautifully brings out her pain, coldness, obsession; Alekh complements her as much in portraying Arvind’s frustrations, hope and hopelessness. Even the small roles of building contractor and neighbour lady, are marked by really fine performances. To me, story apart, Kshay also questions – questions faith, questions reason and questions the merciless set up we live in. It’s a world where WTC crash becomes table-top merchandise.. Exploiters continue to have their cake and eat it too.. Exploited barely find a way.. It’s a world of faith becoming obsession and obsession ending only in…. Coming back to the question – Don’t watch it because it’s another oh-so-poor-striving-for-support indie film, watch it because it’s good cinema, that totally deserves your time and money. 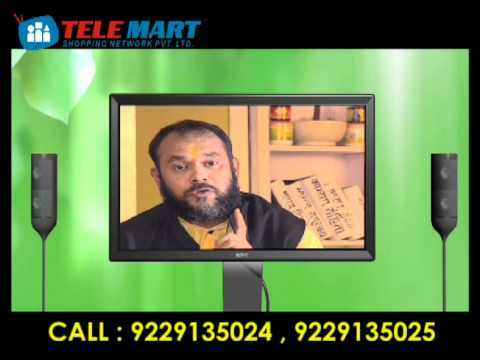 – To know more about the film click here. And click here for the FB page of the film. – PVR JUHU (Mumbai) will have one show running in the next week at 6:35PM. Don’t miss this one! – And if our recco isn’t enough to convince you, here are some more reviews – Namrata Joshi of Outlook rates it 3.5/4, Karan Anshuman (Mumbai Mirror) has rated it 3.5/5 and Aseem Chhabra (Rediff) has also given it 3.5/5. We haven’t seen the film. Don’t have much clue about the filmmaker also. So, over to Innuendo’s director Arvind Kamath for all the details. And if you are interested, you can help him and his film. ABOUT ME – I always wanted to be a part of films as long as I can remember, but was stuck in an IT job and after 9 years of being in IT, I finally quit to get into filmmaking fulltime in Feb 2011. Couldn’t afford a fulltime Filmmaking course, so I started my filmmaking stint in 2008 where I started with attending workshops, (cinematography, writing, Editing etc) then graduated to making a few short films – one short was among the top ten films of 2010 PFC One film festival (here) & another one which I co-wrote won the 2nd place (here), which gave me the courage to do more. So I went on to organize the 2009 Bangalore Screenwriting Workshop which was a huge learning experience and then started making documentaries, corporate films etc. In Feb 2011, when I quit my job, I setup a small edit suite and started taking post production orders which is my bread without butter today. So all these years while learning, I also wrote many concepts and scripts, some trash worthy, some forgettable and a very few that I was still excited about. I took up one such screenplay which took me 1.5 years to write and Innuendo was born. More of my self indulgent rant is here. THE PROCESS – Initially I bounced this idea of making Innuendo to a couple of my close friends and they brushed it off thinking it’s just the initial excitement of a struggler. But I announced the project of FB and called for a script narration to people who would be interested to join me. Folks from the Bangalore Indie/aspiring film circle came down. My offer to them was “I can’t pay you any money & I want to make this film with the Rs 50,000 that I have, so join me only if you like the script or connect with my passion somewhere because it’s a lot of slogging for nothing in return really, and if at all the film makes any money in any form I shall share it with you all”. Some wonderful people started signing up, most of them were experienced. One of my closest friends & a very talented chap Bharath MC came aboard. You can see some of his work here. He was to do the camera, background score, sound, VFX and co-edit the film with me. ADs with experience in few short films which have done the festival rounds, signed up as production controller, location Manager, art director, casting coordinator and sync sound recordist. Once the team was set, we called for an audition and got a decent response of 300 profiles on email and finally 60 people showed up at the auditions. We had our 20 actors selected from a pool of talented young TV/theatre actors active in Indie/short film circle. ACTORS – Sanjeev & Sruthi went on to do a commercial Malayalam film called “Cinema Company” which will release this year and had done another Indie from Bangalore called “Kya Yaaron”, which will also release soon. Adithi too was a part of “Kya Yaaron” and is now in Mumbai working on a film with a very well-known and talented young director (I’m not supposed to divulge the details). Monish, Khuldeep, Naveen are some of the well known names in the Bangalore theatre circle. We had 2 days of acting workshop and 2 weeks of rehearsals along with a lot of pre-production work like location recce, art framework, shot breakdowns (3 versions of it), sourcing equipments or building them on our own, scheduling the shoot etc etc. A team of 35 members started the shoot on September 9th and completed it in non-stop schedule of 25days with 3 more days scattered here and there. Then we started post production in the month of November and finished it in April. The film was screened on 21st & 22nd of April for a private audience on an invite only basis & a review by a Cinephile can be read here. THE CHALLENGES – We too faced our fair share of challenges like every other Indie film. DOP calling in sick with typhoid just 2 days before the shoot, crucial locations which took time due to budget constraints, actors issues due to long hours of shoot, food issues when we were shooting in the middle of nowhere, cop issues during night shoots, health issues due to long schedules sometime 2days and nights continuously and all that jazz. WHERE ARE WE NOW – We have completed the film and had 2 private screenings to get an initial feedback. Now aiming to send the film to a few festivals and see where it goes and also travel with the film to Chennai & Mumbai in the month of June to have a private screening for filmmakers, Bloggers, Cinephiles, Indie filmmakers circle, aspiring filmmakers and others. WHAT SUPPORT ARE WE LOOKING FOR – I am looking for venues in Chennai & Mumbai which is cost effective so that I can bring my film there in the month of June. Anybody who could help us with venues which are cheap or free, that would be great. Also, I have created an online fund raising campaign on Indiegogo to raise money to help us send the film to festivals, which is our first benchmark and priority. If we make more money than necessary for festivals, I shall pay my cast & crew and settle the vendor bills. Synopsis: – A single mother wanting to rekindle her relationship with her teenage son, trying hard to bridge the gap times have created. A failed writer trying to revive his creativity amidst external and internal conflicts. A group of friends meeting up for a celebration and end up trying to revive an unexpected situation. And how these characters cross paths willingly or unwillingly forms the storyline of the film. This film is an introspective take on life the way it is. It’s about communication issues, creative obsession & self destructive motives. Indiegogo fund raiser campaign page is here. The Reel Mag interview is here. Coverage on Madaboutmoviez, LongLiveCinema and Indieturf.